I loved Maira Kalman’s work before seeing her new picture book biography, Thomas Jefferson: Life, Liberty and the Pursuit of Everything, but now….there are no words. Kalman is becoming the author I turn to in a “life coach” kind of way. Her books and pictures make me feel optimistic. Her 2007 book, The Principles of Uncertainty, is hard to describe, but it’s one of those books that feels vitally important. It could be described as a philosophical art book. Or an inspiring travel book. I’m just relieved it’s not a children’s book because I would have no idea where to shelve it in a library! 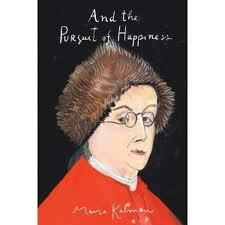 Another favorite Kalman book is And The Pursuit of Happiness, her visual tour of democracy. This book began as a New York Times blog – and the posts were collected into one volume. There are pieces on Abraham Lincoln, town meetings, George Washington, and life in America. Her bright and cheerful pictures acknowledge that democracy can be messy, but they also make you grateful to be a part of it. Thomas Jefferson: Life, Liberty and the Pursuit of Happiness portrays a complicated man. A person interested in everything, but full of contradictions. Kalman writes: “And while they ate the delicious figs, they would pass the slave quarters on Mulberry Row. The man who said of slavery “This abomination must end” was the owner of about 150 slaves. The slaves lived in cramped rooms with few possessions. What did they do? Everything.” As a reader, you feel like Kalman has called you over to tell you this incredibly inspiring story and then stops and says: Wait. There is this other thing you need to know about Thomas Jefferson. My favorite page is the one about Jefferson’s bed. I remember seeing it on my first trip to Monticello and thinking it was the coolest thing in the house. It opens to two different rooms. He could get out on one side and be near his desk and books. Or….on the other side and head outdoors. Every page of Kalman’s book is filled with these sparkling little bits of knowledge and inspiration. It left me wondering how soon I can get back to Monticello. She has written and illustrated other books. In fact, over the holidays I read Daniel Handler’s young adult novel, Why We Broke Up, largely because of Kalman’s illustrations. Handler’s novel is a romance, actually it’s about the end of one. Written as a letter by a girl (Min) who is breaking up with a boy (Ed), it’s the story of their romance through objects – all of which Min is returning to Ed now that they are breaking up. Handler’s writing is so pitch perfect that you can feel Min’s sadness. Handler and Kalman are the perfect artistic match – and they have a new book coming out in May – Girls Standing on Lawns. 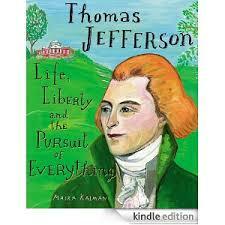 In the meantime, look for Kalman’s book about Thomas Jefferson and be dazzled. Many of us know someone who is graduating – from middle school or high school or college. It’s a time of meaningful transitions for thousands of young people. It’s easy for me to decide on a graduation gift – a book, of course. The fun is trying to select the right book, one that inspires and celebrates without resorting to the standard bookstore display shelf featuring stacks of Oh, The Places You’ll Go! and books about Chicken Soup. Here are ten ideas for books to delight the graduate in your life. None of them are about decorating dorm rooms or basic cooking skills or careers for the 21st century. They are books to delight and passageways to some of the wonders the world. Abstract City by Christoph Niemann – Niemann is the illustrator of several children’s books and the person behind the very cool visual blog, Abstract City, which inspired this collection of 16 blog posts – observations of everyday life and his LEGO re-creation of New York City. Waterlife by Rambharos Jha – I learned about this book from one of my favorite websites, Brainpickings.org, where Waterlife was described as: “without a shadow of exaggeration, the most beautiful book I’ve ever laid eyes on.” There’s no one among us, young or old, who doesn’t need to see beautiful things. When the daily paper is filled with war and starvation and violence, a book of folk painting from the banks of the river Ganga can feed our souls. Leonardo da Vinci: Painter at the Court of Milan (exhibition catalog from the National Gallery in London) Perhaps an odd choice for my graduation list. It’s an expensive catalog from an art exhibit. But here’s the reason it’s on my list. Who better to inspire a young person than Leonardo da Vinci? An inventor, a scientist and artist, Da Vinci is often referred to as the most curious man who ever lived. 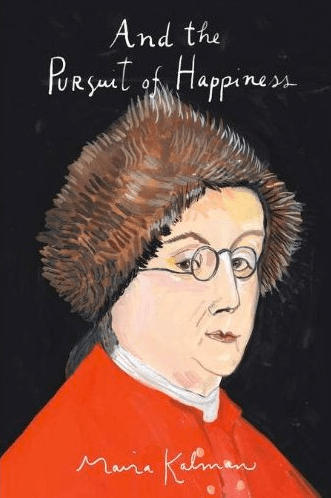 And the Pursuit of Happiness by Maira Kalman – One of my all-time favorite books and another one (like Abstract City) that began its life as a blog. Kalman, an artist and frequent contributor to the New York Times and The New Yorker, traveled to Washington,D.C.for the inauguration of Barack Obama. Her book is a tribute to democracy and our history. This is one of my bedside table books – kept there so I can look at it whenever I have a few extra minutes. Dandelion Wine by Ray Bradbury – I have not read this book in many years, but a good friend’s love for it inspired me to read it again. This book, along with Jim the Boy by Tony Earley, are coming-of-age stories about the joys of being alive. These two novels are not driven by plot, but rather by the power of memories. Jim the Boy by Tony Earley – See above, but this one has a sequel, The Blue Star…. Essays of E.B. White – A book that reminds us of the possibilities of language. Elegant and observant, White’s essays are desert island reading. If you wanted to give someone a gift that they can return to again and again, this is the one. Keel’s Simple Diary – Different from the other books, this one is more of a do it yourself project. It’s a journal for those of us who don’t like staring at the blank page. Keel’s diaries come in a wide variety of colors and, most importantly, they have structure – giving the owner prompts that makes journaling a little less daunting. I love this book so much – and was waiting for an opportunity to include it on a holiday shopping post, but decided to make it a list of one. 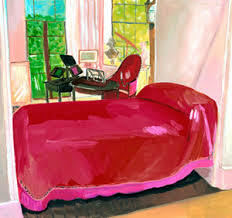 Maira Kalman is an illustrator and artist. I became a fan from seeing her work as a “visual columnist” for the New York Times and her many children’s book, including Fireboat and Next Stop Grand Central. After buying her book, The Principles of Uncertainty, I began to follow her blog chronicling her tour around the country to explore democracy in action. A few months ago, the blog posts were collected into her new book, The Pursuit of Happiness, a book I’ve given to four people (five if I count myself) this holiday season. This book makes me happy every time I share it with someone or look at it myself. What better gift could you give someone? Even if your shopping is done, the gifts are wrapped and you’ve moved on to baking cookies – it’s not too late to place one more package under the tree!